A friend of Elaine’s who dates a high talker, Elaine always seems to be destroying Noreen’s life; first, encouraging her to join… she did, then suggesting that she goes AWOL… and she did! One day she and Kramer meet and he encourages her to go back into the army, and the two eventually get into a romantic relationship. 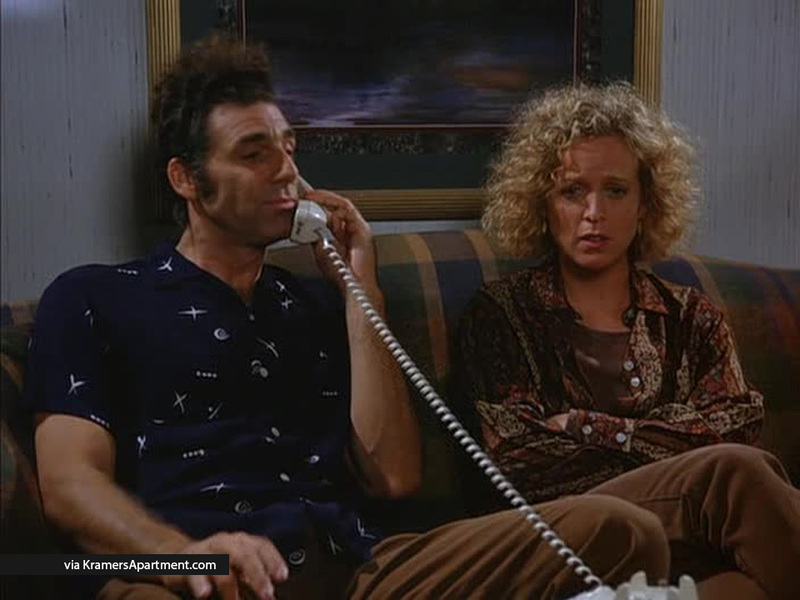 After not getting her period she feared the worst and told Kramer over the phone, who becomes incredibly happy for having apparently impregnated her and tells everyone about it. Noreen attempted to commit suicide soon after, but Frank Costanza’s lawyer, who wears a cape, stops her. Noreen: So anyway, it’s caused a lot of problems. Dan thinks I’m interested in Jerry, he won’t let up. Elaine: I’m really sorry, but you can see why I’d make a mistake like that. Elaine: Well, you know, because he’s a high talker. Noreen: He does raise his voice occasionally, but that’s normal. Elaine: No. No, no, no, not a loud talker, a high talker. Elaine: You don’t think his voice sounds a lot like yours? Noreen: I never noticed that. Elaine: Well, it’s no big deal, you know, it’s just that he can sound like a woman, you know? Noreen: Great. I’m going out with a man who sounds like a woman. Elaine: Well, he looks like a man. Elaine: He’s bald. I know that’s a guy thing. Elaine: I know he belches a lot. Noreen: Well, that’s something. So, Jerry thought I was flirting with him. Noreen: Hm. He’s kind of a baritone, isn’t he? Noreen: I’m eating this cookie. Elaine: No, no, no, but why are you using a knife and a fork? Did you just think of that? Noreen: No, I’ve seen people do it. I like it. Elaine: Well, you guys are tryin’ to work it out! That’s great!.. Noreen: Yeah, well.. We’re trying.. He just went insane there for a while..
Elaine: Oh, he went insane?.. Noreen: Believe it or not: Paul was convinced I was having an affair because somebody kept calling and hanging up whenever he answered! What kind of a Sick Person calls and hangs up over and over? Elaine: Well. Uh. I don’t know about sick. I mean, maybe it was somebody who, didn’t wanna, talk to whoever was answering because whoever was answering was always making, boring chit-chat, an’ was completely oblivious to the fact that the person who was calling, didn’t want to speak to them, ah! Noreen: I can’t believe that was you..
Elaine: I’m really sorry, Noreen..
Noreen: So you thought he was boring? Elaine: Hey! Noreen! Don’t go by me! Ha ha.